Park Hyatt St. Kitts is being built and designed to be a luxury 5-star hotel, overlooking The Narrows, a strait separating St. Kitts and the volcanic island of Nevis. The original and sustainable design concept of Park Hyatt St. Kitts taps into the rich historic roots of St. Kitts. 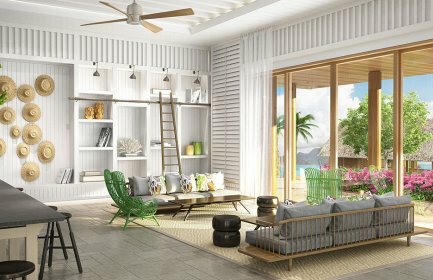 Designed by Arcadia Architects, the resort features the intimate and contemporary elegance of Park Hyatt hotels and has already received recognition with the prestigious Best New Hotel Construction and Design St. Kitts & Nevis award as well as the coveted Best New Hotel Construction and Design in the Caribbean Award 2014-2015. The resort will have 125 guestrooms, with many suites offering individual rooftop pools with spectacular views of the beautiful island of Nevis and the calm turquoise Caribbean waters. In addition, the resort’s Presidential Suite will also include its own butler service and personal chef. Park Hyatt St. Kitts will offer distinctive dining concepts, a characteristic of the Park Hyatt brand, to be enjoyed in three signature food and beverage outlets, allowing guests to experience exquisite, world-class cuisine while dining in a variety of different areas. The resort’s experience will be rounded out by a signature spa, a fitness center, and outdoor infinity pools. A sophisticated and stylish meetings & events area will offer more than 7,000 square feet of meeting and banquet facilities, accommodating meeting requirements from discrete board meetings to small, exclusive social occasions. The Federation of St. Kitts and Nevis, is a two-island country in the West Indies. Located in the Leeward Islands, it is the smallest sovereign state in the Americas. The country is a member of the Commonwealth, with Elizabeth II, the Queen of England, as its head of state. Basseterre is the capital city, on the larger island of St. Kitts. The smaller island of Nevis lies about 2 miles southeast of St. Kitts across a shallow channel called The Narrows. St. Kitts and Nevis were among the first islands in the Caribbean to be settled by Europeans. St. Kitts was home to the first British and French colonies in the Caribbean. 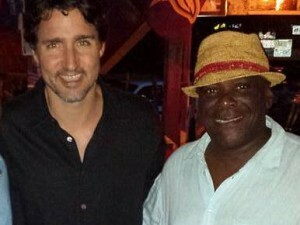 St. Kitts is an established resort and beach destination, offering activities such as diving, snorkeling, fishing, yachting, and golfing to engage the body, and a the legacy of a rich and festive culture and past to also engage the mind. 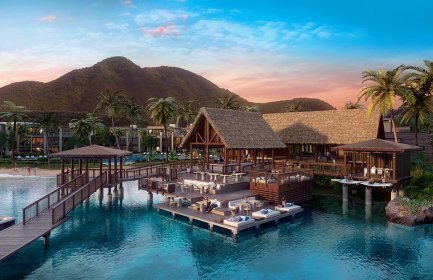 Guests at Park Hyatt St. Kitts will have access to Christophe Harbour’s Tom Fazio-designed 18-hole championship golf course, a beach club and a 300-acre super yacht marina and marina village. Julian Moore has been named the General Manager of the highly anticipated Park Hyatt St. Kitts. 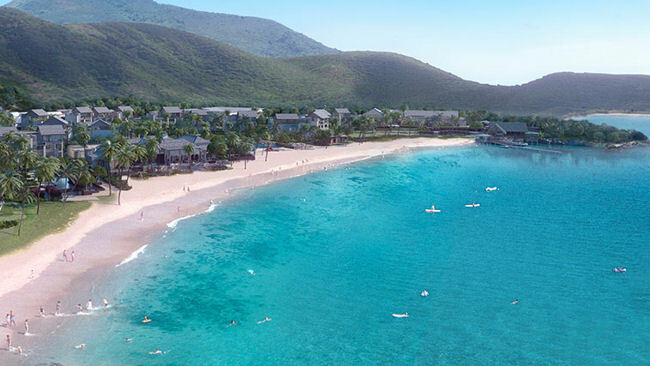 Park Hyatt St. Kitts will be the brand’s first Park Hyatt resort in the Caribbean.